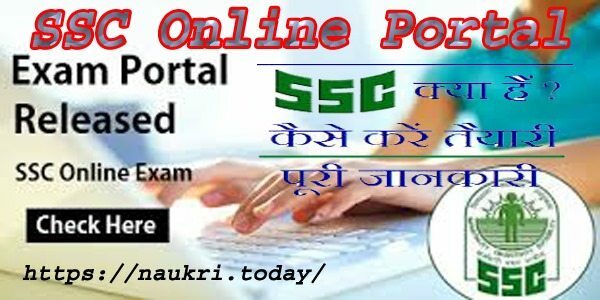 Staff Selection Commission is abbreviated as SSC Online Portal and it was established on 4th November 1975 in New Delhi, India. Earlier it was known as Subordinate Service Commission and on 26th September 1977, the commission was named as Staff Selection Commission. At present, SSC holds Seven regional offices at Allahabad, Mumbai, Delhi, Kolkata, Guwahati, Chennai, Bangalore and two Sub-Regional Offices at Raipur and Chandigarh. The recruitment performed by the SSC only remains at Central Level. It does not conduct the examination on State Level. Latest Update: Aspirants who are seeking for SSC Jobs must check our page. Here we provided you latest SSC Vacancies information. Candidates must check our links for more deatils regarding SSC Recruitments. Staff Selection Commission (SSC) is among the top most authorities to appoint eligible aspirants on various departmental and non-departmental vacancies. It organizes many examinations for 10+2 level, Graduate level, Post Graduate level etc. After these examinations, it sets schedule for declaring the list of selected candidates along with cut off marks and merit list. List of rejected candidates along with their Roll no is also declared separately. All Declaration like Notification, Exam Details, Admit Card, Result and other Information as on SSC Online Portal. Name of Department:- Staff Selection Commission. Head Quarter:- New Delhi, India. SSC CHSL means Staff Selection Commission Combined Higher Secondary Level examination. Every year Staff Selection Commission conducts the examination of DEO and LDC Posts. Among its main exam Combined Graduate Level (CGL) examination is the top most exam attended by the huge crowd every year. This year also Staff Selection Commission has declared CGL exam in the month of April and May. Registrations have been done at the end of January or continued until the end of February. Due to the huge ratio of applicants date for the registrations always extended. Candidates can get more information from the website or SSC Online Portal. Online Application Fee | SSC Online Portal: – Staff Selection Commission every year conducts the various examination for which information is available at a different portal. for getting information about the recruitment one should switch to the SSC portal and if one wants to perform registrations one should switch to the SSC online portal. Staff Selection Commission Online is the portal for those applicants who wish to perform the registration for the applied posts. It comprises of registrations in two parts one is of the Application form and the second one is of Payment of application fees. Here You get all the information regarding the latest and upcoming SSC Notification. Staff Selection Commission Conducts various examination for filling up Govt Jobs in India. Apply Online here for latest SSC Jobs. It provides information about uploading the photo, signature. Guidelines about the information to be mentioned in the application form. It also gives instructions about the starting dates and closing date of registrations. Candidates can check all details regarding their registrations process. SSC also has a web portal which comprises of the data or recruitment details for whose registration aspirants go on the Online link. 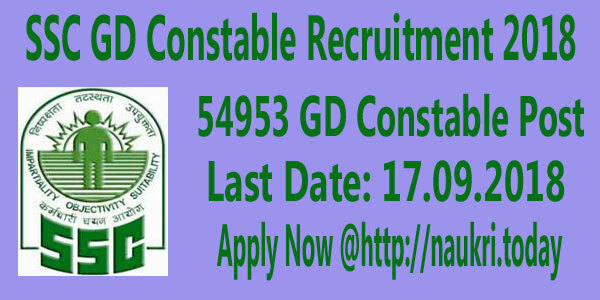 Staff Selection Commission CGL exam conducting for the recruit to various post. The ration of Participants is increasing day by day according to the previous census report. The weight of CGL and CHSL tier I exam is divided into four sections. Exam timing is 2 hours and total marks 200. CHSL exam pattern will have objective types of MCQs. There will negative marking for each wrong answer. Typing test will be conducted in English or Hindi. Candidates should have a speed of 35 words per minute in English and 30 words per minute in Hindi. Qualified candidates in LDC exam pattern will be called for the typing test. Staff Selection Commission every year conducts CGL exam on various centers and sub-centers of India. Applicants from far apart areas comes to write the exam at the particular centers | SSC Online Portal. Admit Card for SSC Online Portal:- Organization upload CHSL admit card of every examination before 15 days for date of examination. Staff Selection Process has informed the date of releasing admit card after released admit card on its official website. without hall ticket students are not permitted to enter in the examination So Students carry your admit card in examination center. Candidates can also download SSC admit card on the regional website they can visit the regional website. Candidates logging to Staff Selection Commission official website. Now students find out the Admit card link and click it. Then open new window and students enter your registration number, DOB and click submit button. Now students check your admit card properly. Then take a print to admit card for future use. Conclusion: SSC Online Portal, Staff Selection Commission is an organization under the Government of India to recruit staff for various posts in the various Ministries and Departments. A career in Staff Selection Commission conducts a lot of exams every year. you can stay this page for all details for the Exam.